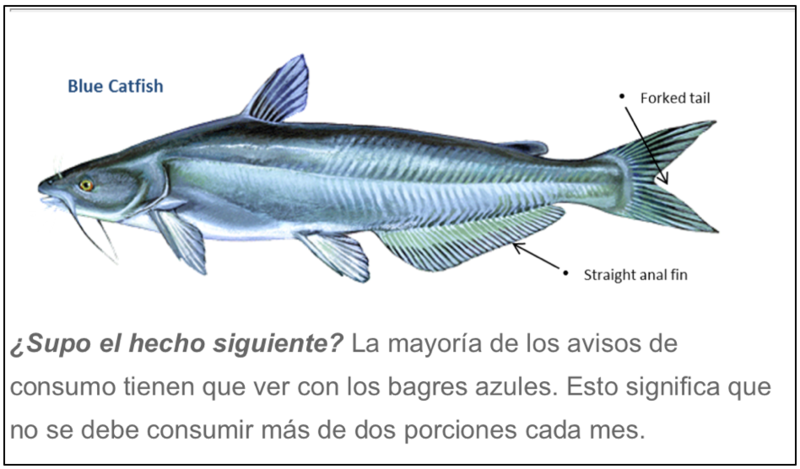 A new outreach program implemented by Friends of the Rappahannock is bridging the language gap to communicate river safety and conservation concepts to the Spanish-speaking members of our community and the surrounding area. Nuestro Rappahannock is led by UMW Translation Intern Lisa Marie King and FOR Community Conservationist Woodie Walker, with guidance from UMW faculty member Dr. Jeremy Larochelle. It aims to readily provide information in Spanish and English, ensuring that all area residents are aware of the implications involved in enjoying what the Rappahannock offers. 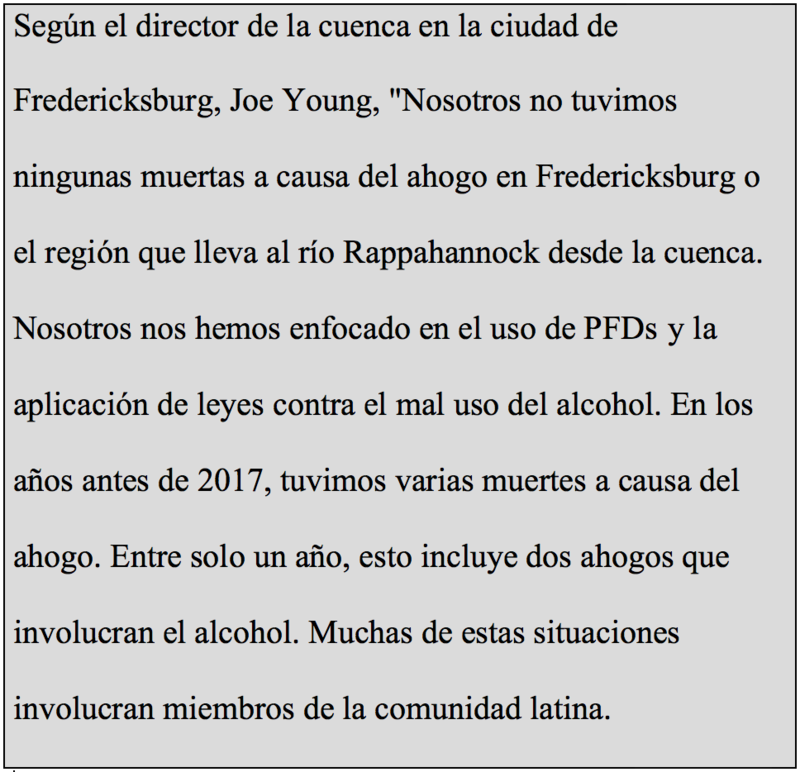 The program was in part prompted by recent drownings in the Fredericksburg area involving members of the Latino community. The program kicks off with our Wild and Scenic Film Festivals March 24 in Warsaw and March 31 at UMW’s Dodd Auditorium in Fredericksburg. The festival features a film in Spanish, with English subtitles, and I will be there to talk with attendees about safety issues and conservation concepts. Our Spanish-language film is “Nobody Loves Me,” directed by Jeff Reichert and Farihah Zaman. The setting is Lake Titicaca, high in the Andes Mountains, “where a large and homely frog once thrived, a species endemic to altitude and cold water named Telmatobius culeus. Over-collecting for human consumption, pollution and predation by introduced species have devastated the Titicaca water frog. Following the film festivals, we will bring Nuestro Rappahannock to all of FOR’s outreach events, including Earth Day on April 21 at Old Mill Park. Activities in Spanish and English tailored specifically to children will be offered to start spreading awareness to the surrounding population as young as possible. Key conservation concepts for the program include “Leave No Trace” and “Pack It In, Pack It Out.” We will also stress the importance of wearing your Personal Flotation Device (PFD) and the risks associated with mixing alcohol and river recreation. According to Lt. Corey Landon, Water Rescue Team Leader for the City of Fredericksburg, there have been around 100 deaths due to drowning in the Rappahannock since 1972. PFDs are proven to save lives and are strongly recommended while enjoying the river. In our area alone, emergency responders are called to 50-plus water rescue emergencies annually. Consuming alcohol increases the risk of a water-related emergency. Please be cognizant of your state of mind while enjoying the river. One is urged to take note of the condition of the river before entering. Jagged rocks, metal, broken glass, fish hooks, snakes, turtles, spiders, among other hazards could be on the river bottom. Wearing shoes can help prevent injury. Be mindful that you may not be able to see where you’re stepping or reaching. Diving into the water where rocks or other obstructions could be may result in injury or death. Strong rain and wind can also alter the safety of the river with little to no warning. You can become hypothermic even on a warm day, since moving water lowers body temperature 20 times faster than ambient air.